“Possession” can be regarded as a paragon among the bands who are reviving the incurable malady of prototype black/death metal. 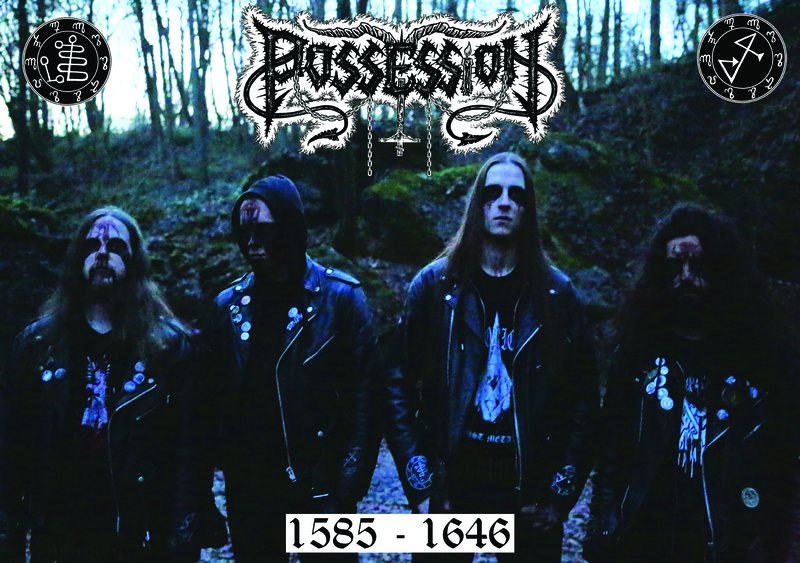 The band has already been adulated by the listeners for their previous releases, “His Best Deceit” – demo and “Anneliese” – EP (Click here for reading the review) and this time Possession is returning with a new EP, entitled as “1585-1646”. Opening spell, “Obscurity – Visitation”, consists of the sounds of wind, rain, thunder, monachal chants, bells and a unremitting darkened tremolo picked guitar delivery throughout its initial six and a half minute. The track can be regarded as the prolegomenon of the opus until the inauguration of the actual gruesome elements in its final two and a half minute. Arrangement of the simplistic but hefty riffing, intense drum hammering, demented howling and ending idiosyncratic solo makes the final part of the track terrific. Following conjurations are comprised of more frenzied components. Selecting the most favorite track of the album is really a hard nut to crack as both “Ceremony” and “Guilty” will eventually occupy the same portion of space in terms of being the most-liked one. The strapping guitar-bass combo of both of these tracks are strong enough to cause a frenzied environ inside the cerebrum of the listeners. Sudden break and the change of the riffs direction can be considered as an admirable feature of both of the tracks and definitely this feature empowers me to have a memorable experience. Necrowitching backgrounded shrieks present in “Guilty” are striking without a single doubt; the vocal might needs to be a unhinged demon in order to demonstrate such kind of skills. The bustling tremolo riff and the continuation of fiendish vocal assault start the last venomous offering, “Ablaze”. The track is just another example that showcases the charismatic capability of the group of four incubuses. There is a sudden break in the middle of the track that comprises of eerie atmospheric bass solo. The concluding part of the track consists of bizarre murmuring of the vocal that sounds like the mantra recital of a burning witch. 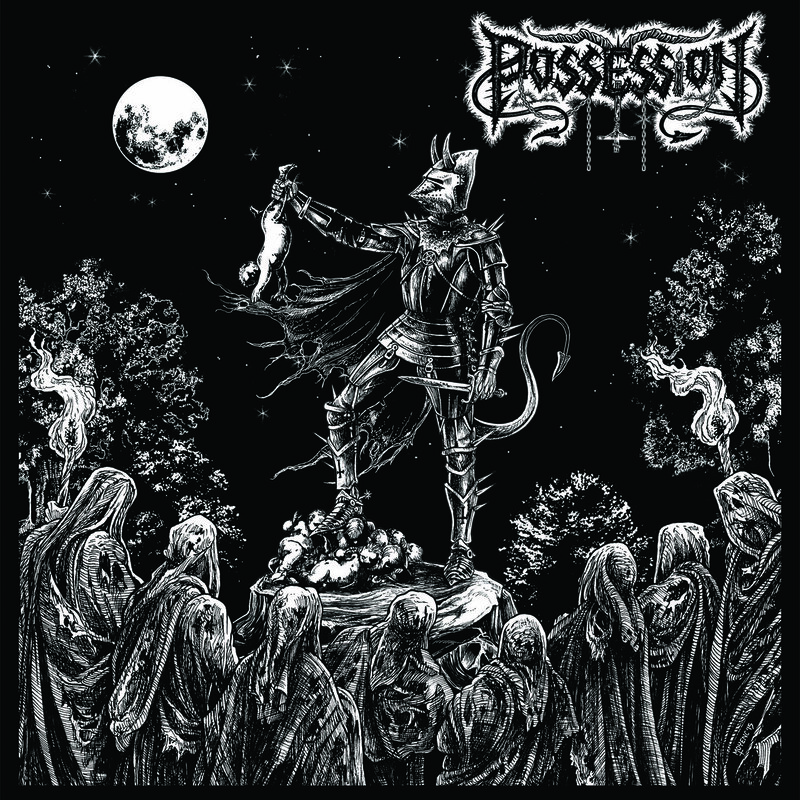 Possession has chosen to reverse their sound from viciously fast to slower path throughout the ep, but successfully managed to generate a bestial atmosphere which is one of the strongest components. Apart from the profound heavy riffs, a little bit macerated evil enchanted melodic riffs’ existence can also be observed. I still prefer their previous ep, “Anneliese” over the latest one, but the way the band has managed to rotate their direction slightly, deserves nothing but veneration.